Native American artifacts are a window into the past, allowing observers to discover how our ancestors survived. Appraisals can determine fair market value in case the artifact must be sold or to have the collection insured against theft and damage. Collectors may be surprised at the high value of some artifacts. Sort through your artifacts. 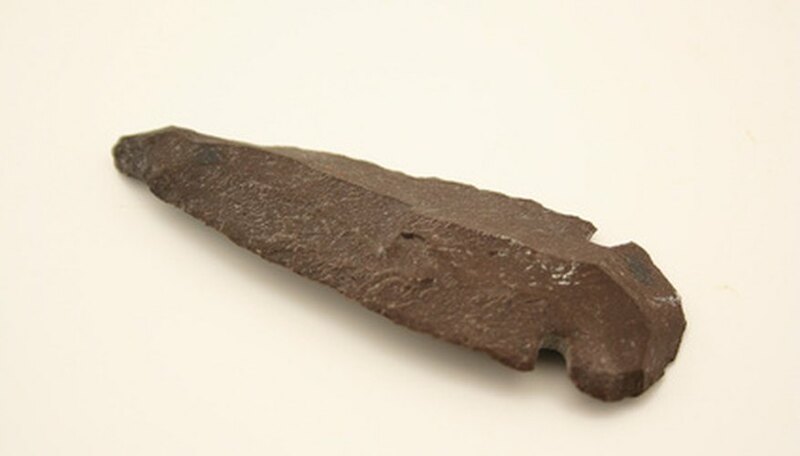 Arrowheads are not generally valuable. Most items in personally found collections have minimal value. Photograph with a digital camera the items you wish to be appraised. Use natural lighting and take several shots of each artifact from different angles. Select three companies to prepare the appraisal. You may want to choose a local company if you have a large collection. Complete an appraisal request form and honestly list any damage to the item. Email the form and the pictures to the company. Arrange payment method using a credit or debit card, an online payment service or mailing a check. Pack artifacts carefully with bubble wrap, include all information and insure shipping if you need to send the items. The appraisers usually need you to ship the artifacts to them only to determine authenticity and age. Photographs are sufficient to ascertain fair market value. Most companies require on-site appraisals for large collections. Some appraisal companies specialize in certain types of artifacts; choose your appraiser based on the items you have. Avoid buying artifacts from a dealer who will not give you a written statement of the items’ origin.